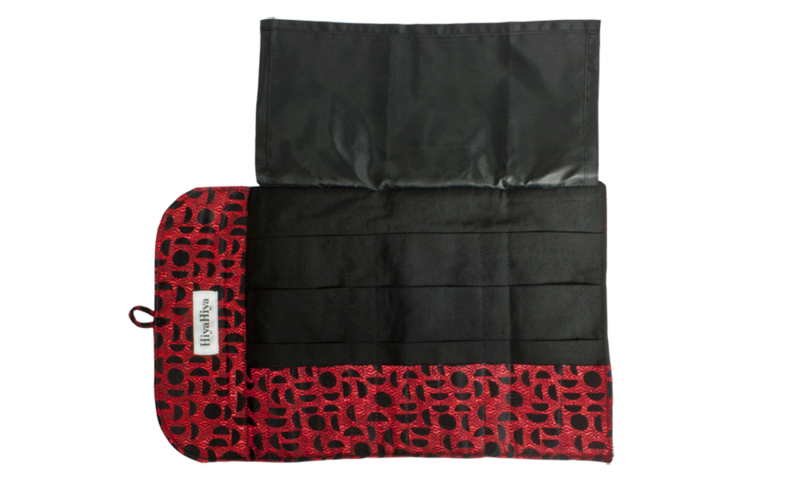 Our HiyaHiya Circular Needle Case is designed for portability and multiple functions. 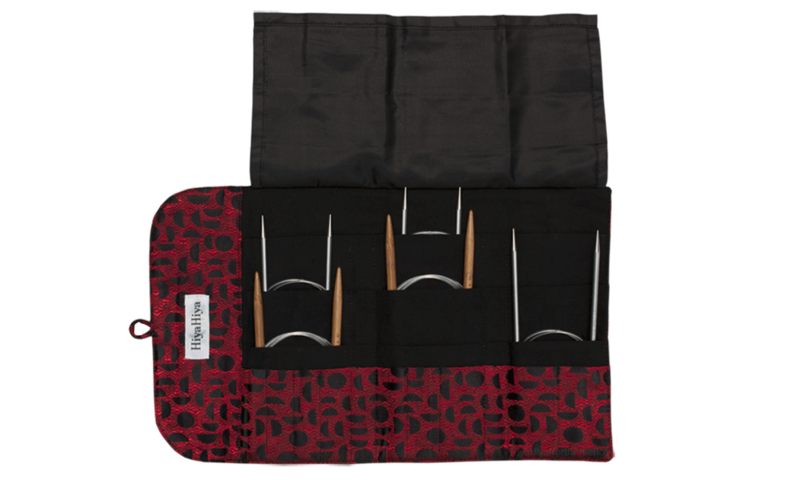 It features 27 pockets (9 interior pockets for circulars, 17 interior pockets for double points or crochet hooks and 1 exterior zipper pocket) to conveniently hold circular and double point needles as well as crochet hooks of various lengths and sizes. 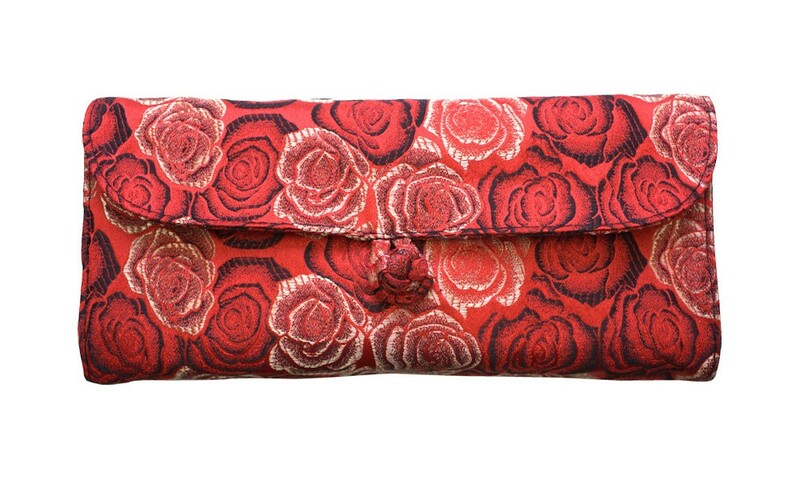 Made of brocade and cotton, it measures 8 1/4" by 4 3/8" when closed with button and loop closure.